Yesterday the Youtube Channel The Straight Pipes had an exclusive opportunity that no other media outlet had and that is test driving the new 2019 Hyundai Veloster N, this was a Pre-Production model but it gives us a good idea what the car looks and feel like. 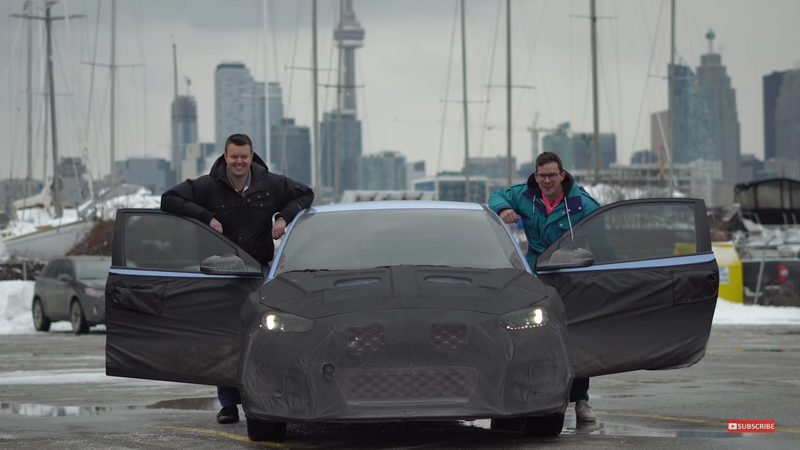 The video starts with the youtubers Jakub and Yuri driving the Hyundai Veloster N the Toronto Autoshow, where it was going to be unveiled to the Canadian public. As they mentioned on the video, there are different types of Pre-Production models such as P1, P2 and M but the one they are driving is P1 model with the difference instead of having the camouflage paint this one has the actual paint, Performance Blue, because it was going to be shown at the Autoshow. Lets focus on the interior of the Veloster N. There are a lot of similar designs to the first N model, like the steering wheel design, shape and even buttons. The Cluster is also almost identical with very informative gauges on the middle also the lightindicator on top of the cluster will indicate when you should shift with the colors white, yellow and red. One feature they also mentioned are the 2 lights, amber and red, on top of the tachometer that the amber lights will decrease as the car warms up. 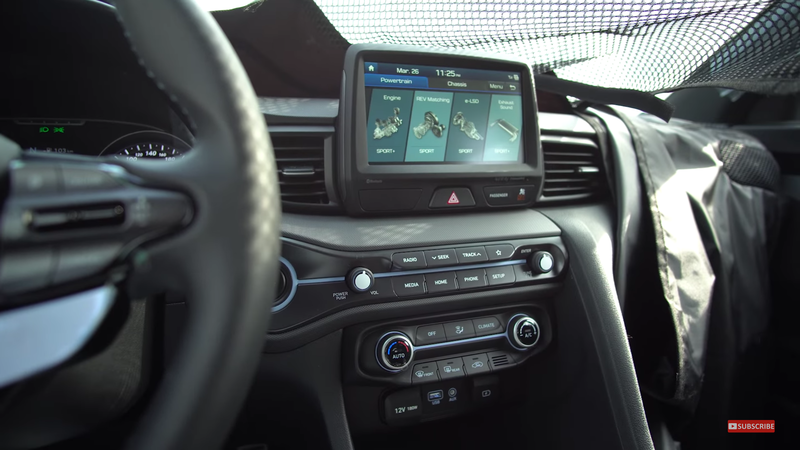 Now the middle console, here is one of the biggest difference between the i30 N, where the screen is on top, the Veloster N has the screen right in between the A/c Vents and because of that the buttons on the side of the screen, as appears on the i30 N, are now located on the bottom of the screen with a very nice design that integrates the start button with the Performance Blue color accents. 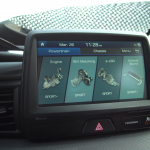 The Infotainment system is almost the same, where a lot features can be customize under 2 categories Powertain with engine, Rev Matching, LSD, Exhaust Sound and Chassis with Suspension, Steering and ESC where must of them can be change from Normal, Sport and Sport+. It also has the N Mode where it gives you different information such as Turbo, Torque and Power, Performance Timer and G-Force. 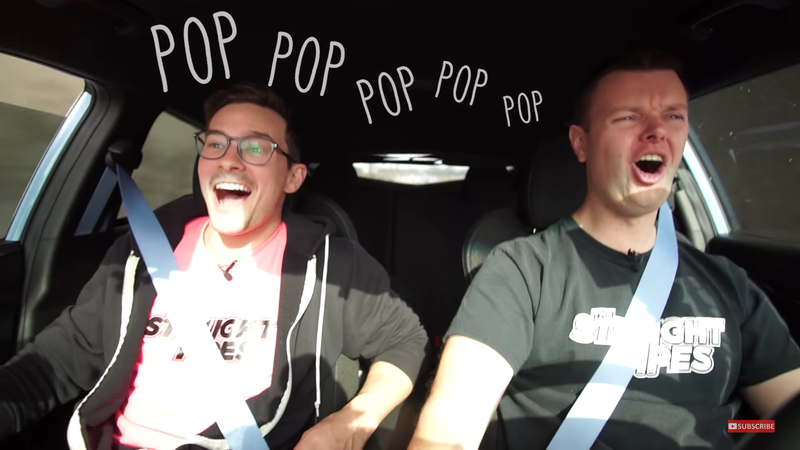 One thing the guys have a lot of fun while driving the Veloster N is from all the backfires in which they put the Veloster on top of their Exhaust Tone list comparing the Ford Focus St, Volkswagen GTI and Honda Civic Type R and that could be thanks to the valve exhaust from factory.